Jun 13, 2016 Ms. Van Liew, Thank you for bringing your concerns to our attention. Please accept our apology for any miscommunication that may have happened. 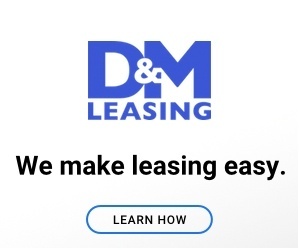 It is to our understanding that your account with D&M Leasing has been closed. If you have any questions please contact customer service at 877-511-0101. THIS COMPANY IS THE WORST IN THE BUSINESS SALES PERSON LIED TO ME ABOUT THE CONTRACT. HOPEFULLY THE LEGAL SYSTEM WILL GET INVOLVED AND CLOSE THIS COMPANY. THEY LEASE CARS BY LYING TO THE CUSTOMER. 2 WEEKS AFTER PURCHASE I CALLED AND TOLD THE SALES PERSON I WAS NOT HAPPY ABOUT BEING LIED TO ABOUT THE 2013 CHEVROLET IMPALA LTZ AND HE STATED HE WOULD DO SOMETHING AND GET MY OLD CAR BACK. HE LEFT THE COMPANY AND NOW NO ONE WILL TALK TO ME. SAID IT WOULD COST ME AROUND $15,000 TO GET OUT OF LEASE. GOING TO REPORT THEM TO THE BBB ALSO. Reason of review: LIED TO AND NO ONE WILL DO ANYTHING AT D&M. Review #828317 is a subjective opinion of User828317.